The Ti.S5 CZ racquet is for players with a medium long swing style. The perfect combination of control, power and maneuverability. Revolutionary titanium/graphite construction. XtraLong for more reach. A perfect performance racquet. This racquet comes pre-strung with Head Synthetic Gut 16g (Natural) at 60lbs. It does not come with a cover. I like the ti5. I have the ti6 and I love it. My brother has the ti5 and i love it even better as it is lighter than mine. My brother has played for 42 years ever since he was 10 years old and he has several racquets but likes using ti5. 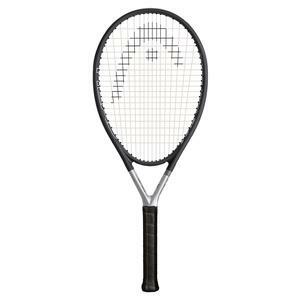 This is a perfect racquet for beginners and professionals alike. This racquet lacks weight which makes it very manuverable but, makes serving with pace impossible. Groundstrokes and volleys were very nice and since it's so light control was good. Comfort was just OK compared to many of the newer frames. Overall the S5 was a very easy racquet to play with but, serving was a nightmare. Aces and unreturnable serves cannot be done with this frame. Which is a real shame because it does everything else very well. I would not recommend this frame because opponents will be T-ing off on your 60 mph serves. This is suppose to be tennis not dodge ball! Excellent racket…I own 6. With hybrid stringing @ 60lbs, this racket performs very well. I get great topspin and pace with this racket. I’m a 4.5 player. I’ve played with Babolat and Prince, but I like this racket better. Don’t listen to the nay-sayers. 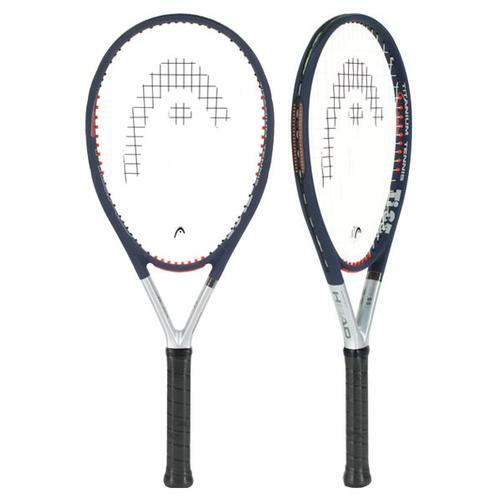 I would recommend the TiS5 racquet for beginners and medium level players. My experience has been excellent. My tennis partners agree with me. All of them have different brands and my TiS5 is the most popular and praised. My husband has played tennis forever, but I recently took it up, so we decided to buy some new racquets. We got two of this kind and we love them! I love this racquet! This is the third one I have purchased in the last several years. I am a 4.5 player but only 5'0" tall so this racquet works well for me because it is so lightweight. I usually get it restrung with Wilson Sensation, which is a more lively string. I hope you keep this racquet around for a long time. Also, your service is excellent! Thank you! Best racket for people who are used to light rackets like me. I used this racquet years ago when it first came out and liked it, but it broke very soon after. Thought I would try it again, but wasn't taken by it like the first time. Tried restringing with better strings which helped, but still not what I was hoping for. Wish I had bought the TI S-6. I've played with this racquet for 11 yrs. now and I wouldn't dream of switching. I absolutely love that it can adapt to whatever game I bring to the court. Everything from a friendly rally to a hard smashing set with tons of spin, this racquet just doesn't give up. Fantastic for the beginner or advanced player. 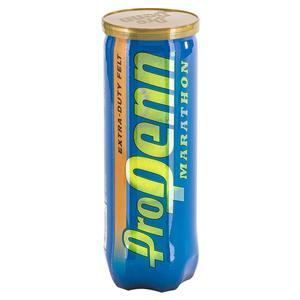 We bought this for my wife as the price was great and the reviews solid. It did not disappoint. Its very light, but solid construction. She is petite and still able to wield the raquet quickly and reach farther. And she can generate good power as well. A good overall choice for beginners or smaller players/juniors. I bought this racket as a back up to my current TI-S5 Ive had for over a year. I like the TI-S5 because of its light weight, decent power and better than average control. I recommend this racket for seniors like myself and ladies who want a slightly oversized, light weight racket thats reasonably priced. I have this racquet for a few years now and needed another to have at a second home. I was so glad to find it at a great price. I purchased two. It is very light and easy to use for a wide range of players. My forehands improved alot with this racket, it helped a bunch. This racket took a little getting used to, but now I love it! Played recently and hit a couple of great winning shots on the run...the reach is great. It handles shots at the net really well. 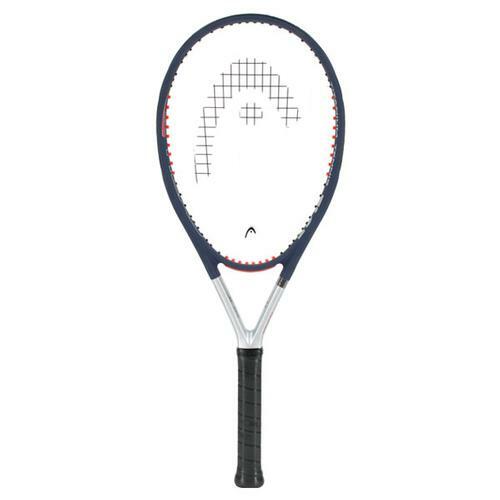 I really like it, very light weight easy to maneuver in the net,overhead,volley and ground stroke, if I have money I will buy another one. I already had the same racket. But this one was worn out. So am going to Googling and came here. This is no longer for sale in Netherlands. Great racket!!! 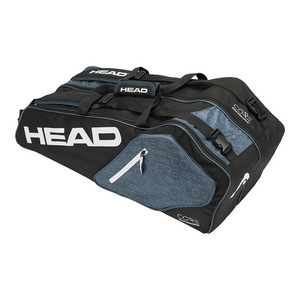 my son has just recently started playing tennis and saved up to buy this racket. As far as I know he is really enjoying it and was pleased to find such a good deal on a nice racket. The damping mechanism of my old Ti.S5 racquet purchased in 1998! broke. I found the exact replacement and I am very happy that I did not have to get used to any new one. I am very comfortable with the new one. It suits my game 3.5 level, hard hitter very well. By the way, the price this time was more then half of the price I paid 15 years ago! Great, light weight racquet for a beginner level tennis player ! Great price and fast shipping!! A GREAT RAQUET...BOUGHT MY FIRST ONE OF THESE OVER 10 YEARS AGO, AND CANT BELIEVE THEY ARE STILL AROUND. 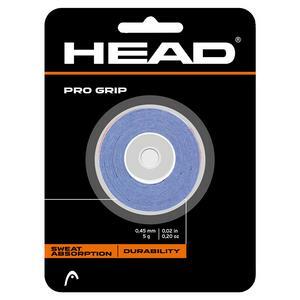 BROKE MINE THE OTHER DAY WHEN I WENT TO SERVE AND IT SLIPPED OUT OF MY HAND DUE TO THE RE-GRIP I PUT ON ...NOT SO WELL...LOL....WENT ONLINE AND FOUND THEY HAD PLENTY OF THEM...FOR ABOUT 200 LESS THAN WHEN I BOUGHT IT YEARS AGO!! GREAT, ESPECIALLY FOR THE MONEY!! !